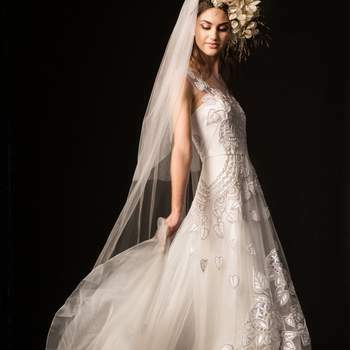 Temperley Bridal differ from every other wedding dress label in that we do not see a different style or shape or reimagination every season – but a continous output of some of the most divine gowns we have ever seen. Instead of creating ranges based on what is trending in the wedding world, Temperley Bridal have cultivated their own unique sense of style over years of dress designing, and their expertise shows every time! So, keeping in line with the brand’s individual, original, and immediately recognisable style, the new collection for Fall/Winter 2019 can be described as luxury-bohemian, with the most delicate motifs and fabrics. True to their brand, but still playing with some constructions and techniques, this collection is simply gorgeous. 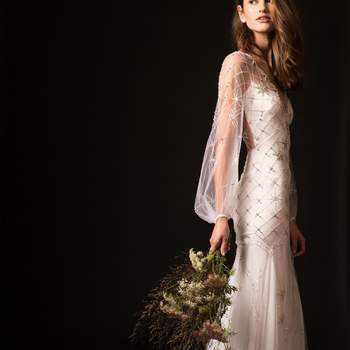 One of the features we love most is the experimentation with sleeves, with the Celeste and Orelia gowns both standing out on this occasion – we love the long, spotted tulle sleeves on the former, and the off-the-shoulder look on the latter is so elegant. 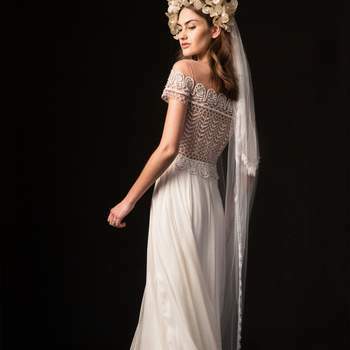 Indeed, Temperley Bridal has always known just how to create elegance and beauty through their choice of the most exquisite and ethereal fabrics, their constructions using them, and the restrained use of colour. 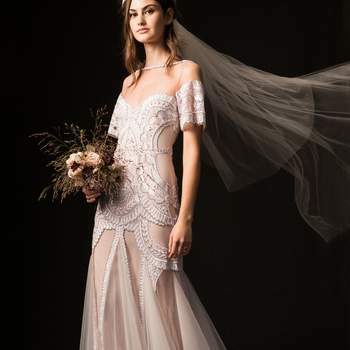 Always perfect for the modern bride looking for a touch of vintage on her big day, Temperley Bridal for Fall/Winter 2019 may be the kind of look we were expecting, but that is no way diminishes it. Indeed, these gowns continue surpassing our expectations – particularly, we have to say, the Sofia dress, which has got the seal of approval from the editorial team at Zankyou! – and we are convinced that they will beat yours too. Have a look at the entire collection, and find your perfect wedding dress today!